WASHINGTON — George Venizelos will take over the FBI’s Philadelphia office, replacing Janice Fedarcyk who recently took over the New York FBI Office, the FBI announced Tuesday. 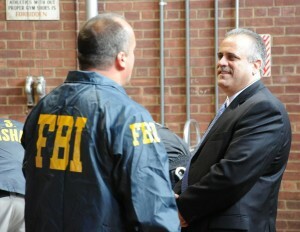 Venizelos is the special agent in charge of the Administrative Division for the FBI’s New York Division and temporarily filled in for a while as head of the New York office. He joined the FBI in 1991 and was first assigned to the Boston Division working white-collar crime, the FBI said. In 1997, he was promoted to supervisory special agent in the Criminal Investigative Division’s Russian Organized Crime Unit at FBI Headquarters. In September 1999 he served as supervisory senior resident agent for the Philadelphia Division’s Harrisburg Resident Agency and was promoted in 2002 to assistant special agent in charge of the New York criminal division. In 2003, he was became the assistant special agent in charge of New York’s Counterterrorism Division. Two years later, he became an inspector at FBI headquarters and led inspection teams at FBI field offices and overseas legal attaché offices. He became the special agent in charge of the New York Field Office’s Administrative Division in November 2006. Prior to joining the FBI, he was a DEA agent. Posted: 9/21/10 at 6:08 PM under FBI, Milestone, News Story.